The Final Countdown | are you my moms? 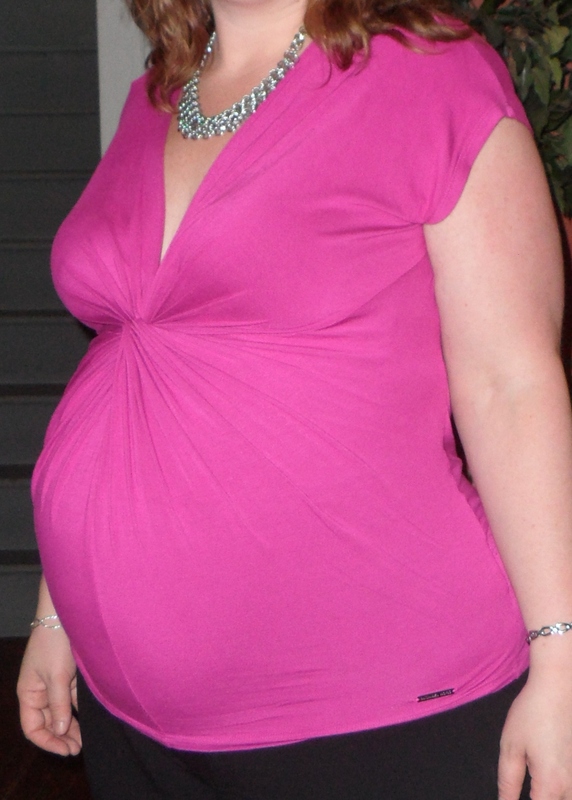 The most recent picture of the belly…large and in charge at 35 weeks!! Other women also seem to have baby weight estimates already. My fundal height (distance between the bottom and top of my uterus) measures accurately for this point in pregnancy. So no need for an ultrasound. Great. Really. I don’t want to sound ungrateful for that – all we’ve asked for is a healthy pregnancy. But without another ultrasound, there’s no real way to guess the baby’s size. MKL’s very scientific estimate: 7-10 lbs. Again, I understand the logic. At this point I’m not terribly afraid of labor – I know it’s going to hurt, but I’m trying to stick with the whole “my body was meant to do this” mantra. So if I know this is a whopper of a baby, maybe the fear will sink in. And I firmly believe fear of labor will make the whole process longer and more difficult. Again, I just have to trust our doctors and my body. By the time you hit 38 weeks’ pregnant, you’ve likely done all the preparing you’re going to do. I know we have. I keep thinking there’s something else we can do to occupy our time while we wait for our new arrival, but there’s really not much left. Everyone says to “savor these last days of just the two of you.” And we are. We’re doing all we can to spend quality time together, give extra love to our precious pup, and go out to dinner with friends while we don’t need a sitter. In the meantime, a friend posted this on facebook, and I am doing all I can to embrace it: http://mothering.com/all-things-mothering/pregnancy-birth/the-last-days-of-pregnancy-a-place-of-in-between. Not that it hasn’t been exciting the whole time, it’s really getting so now! so excited for you! oh, and now I have the final countdown stuck in my head. thanks. This is such an exciting time for you! Each step in your little one’s life will bring a ton of excitement. My son is three now.